It’s the 5th anniversary of Galway Game Jam. I had a different approach to this one so there are some new takeaways to mention. I am beginning to get used to writing these blog posts, but honestly, I cringe at myself every time. Hopefully, this practice will improve my writing and the cringe will lessen with time. It’s the 5th anniversary of Galway Game Jam. I had a different approach to this one so there are some new takeaways to mention. 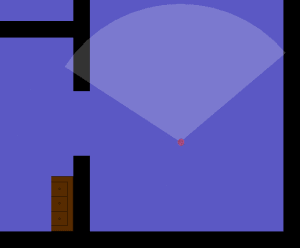 The Gamejam Plan – Using the gamejam to work on other things. Sometimes people work on their own projects at gamejams. It’s fairly common. In my experience, there have typically been 1 to 2 people at any given gamejam that do this. 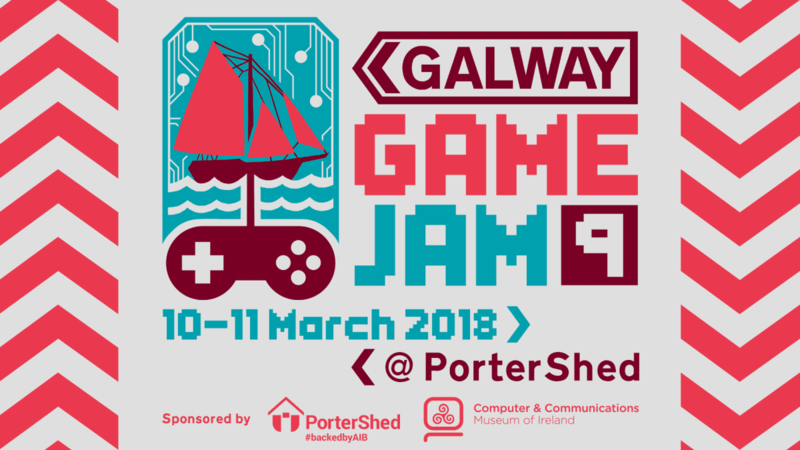 Galway Game Jam has always been happy to facilitate people who want to use the event to work on their own game-related projects (you generally won’t be allowed to submit such a project as part of a gamejam competition). It may seem an odd thing to do – you know, paying a ticket price and turning up to work on some completely different game thing – but there are a bunch of reasons why you would. Let’s make them into a list (because us humans love lists of things). * A sense of purpose. * Productivity under time pressure. * Meeting other game makers. Everyone at the gamejam is there to make games together. This is a highly motivating environment. Gamejams are short and focused. The limitation on time is a good way to plan for it effectively. Whether you simply want to start on another new idea which excites you that isn’t relevant to the game jam or you are developing a feature in an existing game project, you can get a lot of work done by the end of the gamejam. Us humans (who are definitely human and not crab people) are social creatures. Even though you are working by yourself on your own project, the fact you are doing so in a group situation may well be capable of steeping yourself in a sense of camaraderie, of oneness with your fellow game makers as you struggle towards your own game-related objectives. This for me is the best and most important one. You can meet people at gamejams who make games. From professionals to hobbyists to people trying it out for the first time, you get to meet other people excited by the idea of making games. It’s priceless. Everyone you meet will have a different story, a different path through life that has equipped them will their specific skills and individual approach. I love learning about them, as well as their favourite game developers and games. Meeting such people at these events made me even more excited about game development, and those positive experiences have continued to motivate me to participate as well as organise game jams. The first day I arrived after the jam had already started and got chatting with folks about their games. It is always fun to get an idea of what people are aiming towards when they start out to see how they change the shape of their goals and the scope of their game as they work on it through the jam. There is often a sense of excitement, maybe you are trying something new, but also a sense of confusion and uncertainty as they attempt to figure out what the mechanics are, what the game is. People who have been to a few gamejams understand the need to keep the scope tiny and often opt to cut things out of their ideas quite early on, tending towards more certainty and less confusion as a result. During the jam, we were provided with pizza by Galway Game Jam, ordered from Wooza Pizza, and it was delicious. During this pizza-break, everyone got chatting which went into lots of weird and wonderful tangents, probably because everyone’s brains had been so focused for a few hours the break gave the pizza cohorts frontal lobes a free pass for silliness and frivolous lateral thinking. Pizza, tea, little sugary snack and I was back to coding up my super basic interface. Throughout the day I took many breaks – mostly because I wanted to talk to everybody, especially people who I had never met before. But I was happy to do that so I reminded myself that I shouldn’t feel bad for it! I didn’t feel bad at all, in fact, I felt great! This may be due to having a lot of acceptance over my tiredness imposed on me from having been out late the night before – but as that was something I also enjoyed (I caught up with a bunch of friends from the Galway Game Developers meetup) I didn’t beat myself up about it. However, after the first day, my new acquaintances were interested in going out in Galway and I obliged, I wanted to learn more about them and them about me! After all, we are in this together and can certainly learn things from each other. Another late night chatting about random things with game devs was had. More programming, again in a relaxed way. As I had not been taking part in the gamejam proper I had no worry too much about jumping over the mountain of game dev that would be the whole game. There was a little celebration about half way through the day in the name of the 5th year of running Galway Game Jams. Cake, sweets, good times. Back to programming! During the day I was approached by one of the guys covering the event for Elitegamer.com about doing an interview. I guess it shows how disconnected I am from the world but I hadn’t heard of Elitegamer before this (and maybe embarrassed myself at my negative first-impression reaction to the name!). I would get a lot of my gaming news from UK and US sites and other game devs on Twitter. I asked what it was about and agreed to give it a go, though I was tired, a bit chatty and not at all an eloquent speaker. I felt pretty self-indulgent giving such quantity of my opinions. I much prefer conversations with back and forth! I suppose I was just nervous. At the end of the game jam, everyone got to play each other’s creations. Unfortunately, only a couple of the games made it to the itch.io page: https://itch.io/jam/galway-game-jam-9/entries. Sick of being sat on and getting crumbs and drinks spilt on you, you, a lonely couch, strive to escape this awful office. You play as a coach that must escape a facility but sneaking past guards. You can see their cones of vision. Music plays as when you move and stops when you stop, which gives the game a goofy, whimsical feeling that totally plays up the sentient couch aspect of the tactical espionage action. Battle your friends with crazy hot swapping action! Is your body running low on health? No bother! Just switch to a new object! Sadly the throwing mechanic didn’t make the game. It totally would have if these guys had the whole two days of game jam time to make it instead of just one. They are efficient game makers. 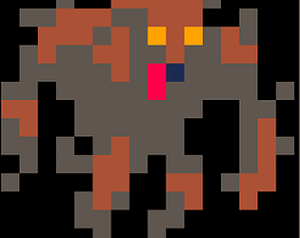 Feed your lycanthropic hunger by attacking the villagers so you don’t die. Your life will tick down every second and only killing villagers will satiate your carnal desires. A solid result for the first foray into PICO-8 and Lua! Especially considering that the whole game was made on the tiny pocket-chip! I am excited to see what Denman does with this and future projects or jams. Galway Game Jam 9 was overall a very social experience for me, which I thoroughly enjoyed. It was also kind of surprising! I got well acquainted with some lovely folks and also got a solid start put into my latest game dev project. Hopefully, I can continue to add fuel to the fire and push on with the project. Something tells me I will. Maybe it’s because I told so many people about it and they all had something positive to say. In any case, the game I aim to make is one I want to play. If I can achieve that I will be delighted. This March will see three gamejams taking place around Ireland, all of which I plan to attend. The next one is in Cork which I will be attending as a Gamecraft organiser, so it’s less about me and more about everyone else having a fun (and productive!) time. After that, there will be a gamejam in UL (University of Limerick) organised by their student Game Dev Society, which will be my second year at UL for a jam. I feel good for having started my next game project and I think that it is a nice thing that my first indie game dev project proper has started development at a Galway Game Jam. Let’s see where it goes from here.